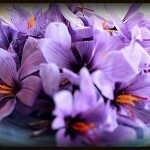 We are a small family business who have been growing Saffron in the heart of England since 2004. Through our passion and dedication we are restoring the lost art of Saffron growing back to England. In the early 14th century, Saffron Walden in Essex emerged as England’s main area for saffron growing and trading, and in keeping with tradition our main garden is based close to Saffron Walden in the Essex countryside. Alongside our Essex garden, we also have a second garden in Devon, overlooking the picturesque river Exe. 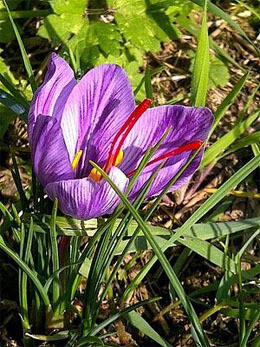 As a small family business, English Saffron has been growing saffron since 2004, dedicating the time, passion and energy to cultivate the best of the best. Saffron’s taste and aroma vary depending on where it is grown and with gardens in Essex and Devon, we’ve found that English Saffron tends to have a sweeter, more honey-like taste and is not as bitter as many varieties grown outside of the UK. 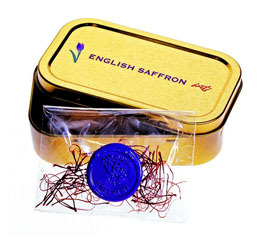 We sell our Saffron in specially designed, lightproof packaging, to ensure quality, flavour and aroma remain top quality.